It’s been seven long years since the Blues made the Super Rugby finals, and the Auckland side are likely to continue their rut as the worst of the New Zealand franchises. 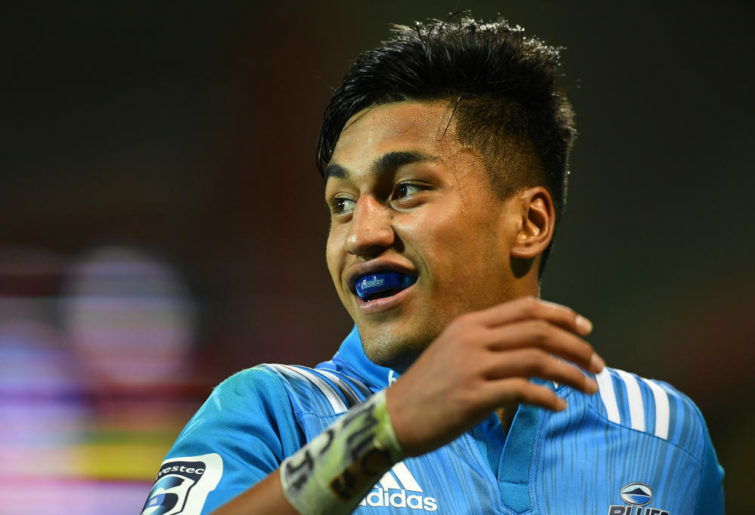 This is the third part of our Super Rugby preview series for 2019, where will run through the Auckland-based club and their projections, problems and areas of much-needed improvement for the season ahead. Given the side weren’t expected to reach any great heights in 2018, the Blues’ season didn’t start off all that badly. They lost by seven points to the Highlanders and six to the Chiefs, and then shocked the Lions away from home. Unfortunately, things took a turn for the worse after that. They were beaten well by the Stormers and conceded 63 points to the Sharks on home soil either side of a bye. With the exception of those results and the last two defeats of the year against the Highlanders and Crusaders, their losses were competitive ones. That wasn’t enough for Tana Umaga to stay on as the side’s coach. He stepped down to assistant at the end of last year, with Leon MacDonald now at the helm. The Blues have a fair bit of Test experience on their roster, particularly in the backline. 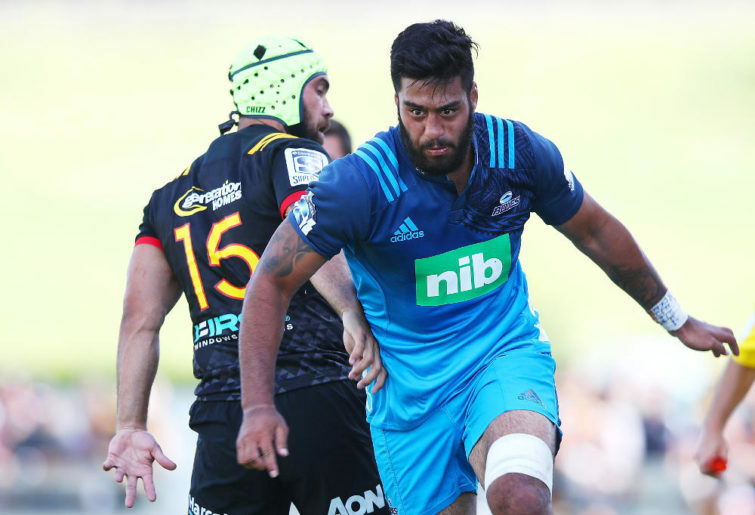 Winger Reiko Ioane is a genuine superstar – even if he was played out of position in the centres too much last year – and his brother Akira isn’t too far from becoming one too, albeit in the forward pack. 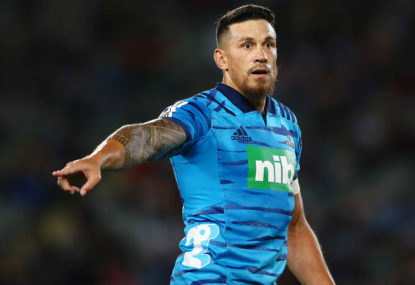 Sonny Bill Williams remains a proven performer and will be eyeing off a strong season to seal a place in New Zealand’s Rugby World Cup squad at the end of the year, while the return of All Blacks champion Ma’a Nonu adds plenty of class and experience, even if he’s not quite as sprightly as he once was. There’s also some quality in the front row. 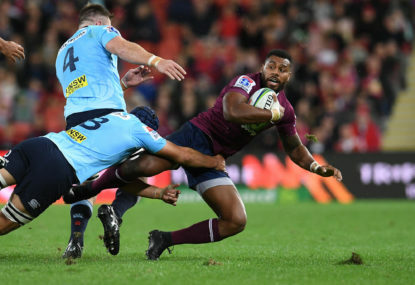 While depth may be lacking, likely starting props Karl Tu’inukuafe and Ofa Tu’ungafasi are capable of battering oppositions in the opening hour of matches. Tu’inukuafe arrives from the Chiefs and with the 25-year-old loosehead prop having 13 All Blacks caps to his name, he could prove a difference-maker for the Blues this year. The Blues lacked direction last year. Their decision making was poor, and they’d make silly errors and give away penalties in crucial spots to ensure they were never on top of games, allowing opposition teams to beat them down the final stretch. 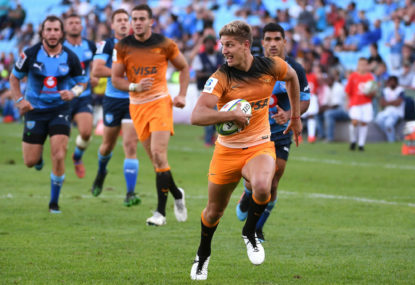 Stephen Perofeta, who’s blessed with talent, a good running game, and not much in the way of game management yet, will need to step up at flyhalf to guide this side around the park. There will also be plenty of pressure on new coach MacDonald to get things running far more smoothly out on the field. Perhaps the Blues’ biggest hurdle to a successful year is an unavoidable one: their schedule. 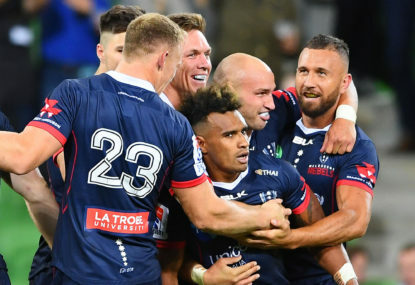 Were they in any other conference, they’d likely have enough to snare a finals spot, but going up against the rest of New Zealand’s imposing Super Rugby sides makes their lot an unenviable one. It’s hard to see the Blues improving all that much in 2019. They struggled 12 months ago, and while Nonu and Karl Tu’inukuafe are quality recruits, neither will do much to address the side’s poor game management and depth in key playmaking positions. 2019 will be another year to forget in Auckland. There were numerous razzle-dazzle displays as the Waikato Chiefs pulled off a thrilling victory over a lion-hearted Blues outfit. With four wins in a row, are the Blues the real deal? 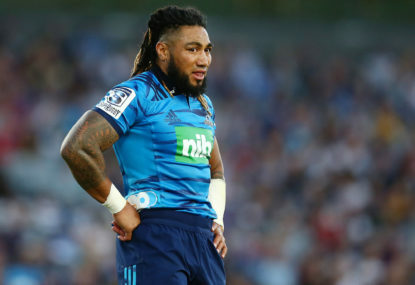 All Blacks great and all-time iconic rugby centre Ma’a Nonu was outstanding on Saturday to help the Auckland Blues win their fourth game in a row for the first time since 2011. 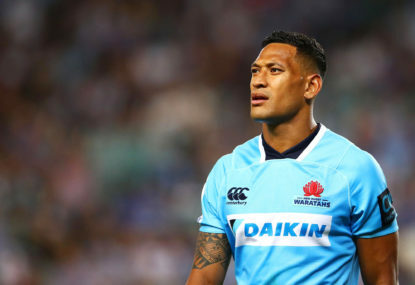 There are three plays where Waratahs fly-half Bernard Foley is consistently good: pinching a couple of metres kicking penalties for touch or goal, landing goals and kick-passing to Israel Folau.